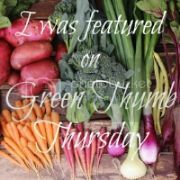 The Green Phone Booth: Great American Backyard, Er, Camera Out? this is awesome. One thing the 30x30 challenge gave us was our nightly walk about in our yard. Each evening we discover something new that we would have missed. How fabulous that mere suggestion ended up being a wonderful hobby for him. 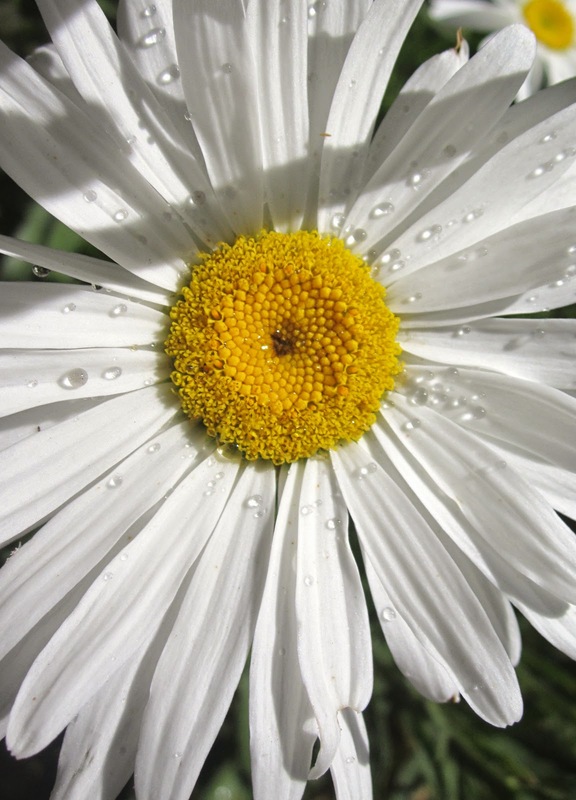 That shasta daisy shot is fantastic! Thanks for sharing this on The Maple Hill Hop! @Eco-Yogini - What a great remnant of the 30x30 challenge. I find that just a few minutes in my garden really calms the stresses from the day. @daisy g: It's pretty good, huh? I'm hoping to get it as a birthday gift. This is a most interesting perspective. I love to take photos (esp. candid photos of my kids) but have to reign myself in and just enjoy the moment (without a camera) at times. The 30x30 challenge was a little tough for me, in fact, b/c I was taking my camera on all our walks --which meant I captured some great moments -- but honestly, I prefer walking without a camera. So, although I love photos and being able to remember amazing moments through them, sometimes I think a camera detracts from the experience. SO, this is a great example of how a camera can enhance an experience, and make you look more closely! What could be more fun than a treasure hunt for bugs recorded on film? You are lucky to have Tanagers around. I usually see one in May - once and that's it. I do have the lizards you have! @Betsy- I do know what you mean. I notice that quite a bit with my kids and holidays. Getting the kids behind a camera, though, or at least my kids, gets them more interested and invested in being outside. It reminds me though of the photographer in The Secret Life of Walter Mitty. Have you seen that? He says that sometimes, he doesn't take pictures because he wants to just be in the moment.